In The State of Blogging in 2017, Casey Marley considers how blogging is adapting within a world dominated by social media. Way back in March 2007 I took part in a session at the Xplor Document University in Miami where Scott Kelly and I examined numerous technologies that we felt could impact document publishers in the months and years ahead. When it came to blogs I made the deliberately provocative declaration: The first new form of non-musical/non image publishing since the novel. Well let’s first of all ignore, for example, comic books, which certainly post-date the novel. It’s enough to proclaim that blogs (and related shorter social media) are a new and important form of publishing, and often underrated. Blogging suffers from a couple of perceived weaknesses. First of all blogs are usually short and casual, often personal and apparently trivial. As if that weren’t bad enough, they’re not published by the New York Times. 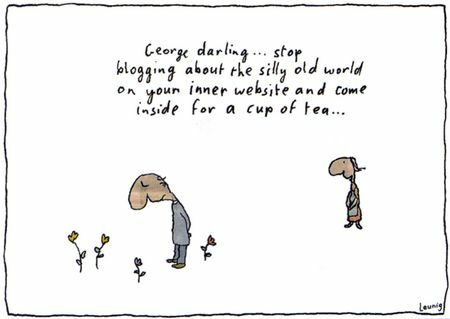 So what makes a blog a blog? Dave Winer gets a bit complicated in his article on the subject. I’d have to say that this describes a great deal of other journalism as well. Trackback. When a post links to a post on another Weblog that supports Trackback it can ping the other Weblog to notify it that it has been referred to. In this way each post can serve as a collection point for posts on a given topic. Notification via email or IM. Some Weblog software can automatically notify editors or community members if new posts, pictures, media objects, articles, or comments have been posted. To date no software can do this over instant messaging, although it would be relatively easy to implement. Now we start to see the true nature of blogs: the social nature of blogs. Unlike other forms of journalism, they are inherently intended to be interactive: author to author and reader to reader. And unlike most newspaper Web sites, the software structure of the blog not only affords this interaction but encourages it. They make an important point…well worth considering in your blogosphere. Because you can tweet faster than you can blog, Jeff Jarvis describes it as “becoming the canary in the news coalmine,” while noting that Twitter users alerted the world to the 2008 earthquake in China before any other medium. But of course most Twitterers are not able to offer news of such import. Instead they tweet about what they just had for dinner. A new medium takes time to settle. I started slowly on Twitter (in May 2009), but now have over 4,500 tweets and 1,000+ followers. Twitter for me is a straightforward proposition. I tweet items of interest to the publishing community that don’t merit a whole blog entry. 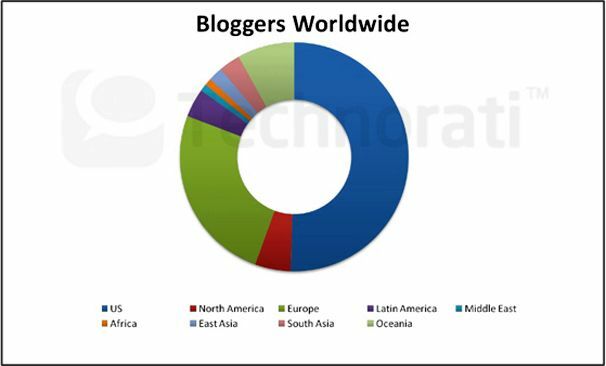 Until 2011 Technorati offered an exhaustive and invaluable annual State of the Blogosphere report with data on everything from who blogs, to where they blog from, to time spent and income earned. It’s dated, but still contains information key to understanding the life of bloggers from the inside out. A recent (2015) listing of the most popular blogs reveals the corporatization of blogging: nearly all are part of larger media entities. Top blogs are now better understood by a particular topic, i..e. health, design, film, or travel: here are the top 50 travel blogs. At the same time that the news media is catching on to blogging in a big way, U.S. corporations are catching onto it in a smaller, though increasing way. BtoB Magazine noted in June 2008 that “only about 12% of Fortune 500 corporations run a corporate blog.” The University of Massachusetts Dartmouth Center for Marketing Research offers a comprehensive report on Fortune 500 blogging habits. It’s most recent report founds that number had jumped to 28%. At Pew Internet & American Life Project (2006): “Blogs, the survey finds, are as individual as the people who keep them. However, most bloggers are primarily interested in creative, personal expression – documenting individual experiences, sharing practical knowledge, or just keeping in touch with friends and family. Meanwhile in Beware of Blog: A Rush to Judgment Ed Burnette recounts several recent tales of bloggers getting news and facts completely wrong. This is often compounded as one blogger quotes another, and the story moves down the blogging trail. As with conversational gossip, the inaccuracies tend to get magnified as the story is retold. Stories like these arise frequently these days: probably not surprising with some 80 million or so blogs out there. As I have pointed out elsewhere on this site (and as have many, many others), printed journalism is also far from free from error. While at first glance this all sounds terrible and tragic, I think the weeping and wailing is overdone. Another great Pew Center report, News Audiences Increasingly Politicized, published in June, 2004, features an in-depth analysis on the decline in media credibility. The analysis provides extensive detail on both broadcast and print media. “…Two news organization share the top spot in terms of print news credibility,” according to the report. “The weekly news magazine U.S. News & World Report and the Wall Street Journal are viewed as highly credible by 24% of those who are able to rate them. “In previous polls, the Wall Street Journal stood well above the rest of the pack, but that is no longer the case. Ratings for the Journal have plummeted in recent years. In 1998 and 2000, 41% of those able to rate it said they could believe all or most of what they read in the Wall Street Journal. That number…now stands at 24%. A very good book for background on this issue is A History of News by Mitchell Stephens, published originally by Viking Penguin in 1988, and republished in a 3rd edition by Oxford University Press in 2006. Wikipedia defines ink rot as the process by which links point to web pages, servers or other resources that have become permanently unavailable. Felix Salmon offers a personal perspective on the increasing challenge this poses to bloggers. I have thousands of links on this site and suffer link rot on an ongoing basis; the problem is very real.